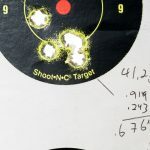 When I had a rifle built on the American Rifle Company Mausingfield action last year, I decided to have it chambered in 6mm Creedmoor, as opposed to a 6.5mm / .264″ variant that I originally planned on. The 6mm Creedmoor is quite literally a 6.5mm Creedmoor necked down to 6mm. Supposedly, John B. Snow (currently with Outdoor Life Magazine) worked with GA Precision to build a rifle in this wildcat chambering in the late 2000’s to spark the first inkling of 6mm Creedmoor. 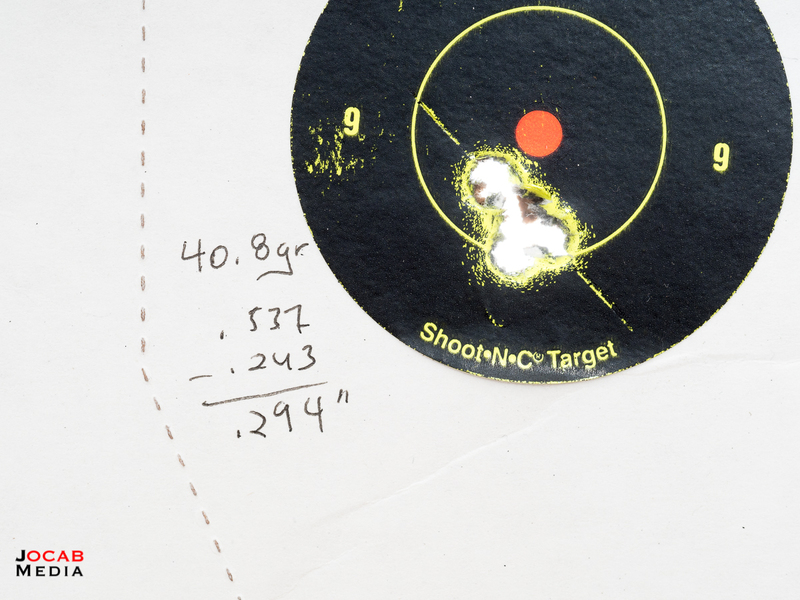 From there, other folks began experimenting with 6mm Creedmoor. Up until January 2018, the 6mm Creedmoor was actually a wildcat cartridge by definition. There was no published SAAMI specification. Industry folks were indicating that there was indeed a SAAMI specification in 2017, but I never saw it publicly available from SAAMI until January 2018 (I was constantly checking). 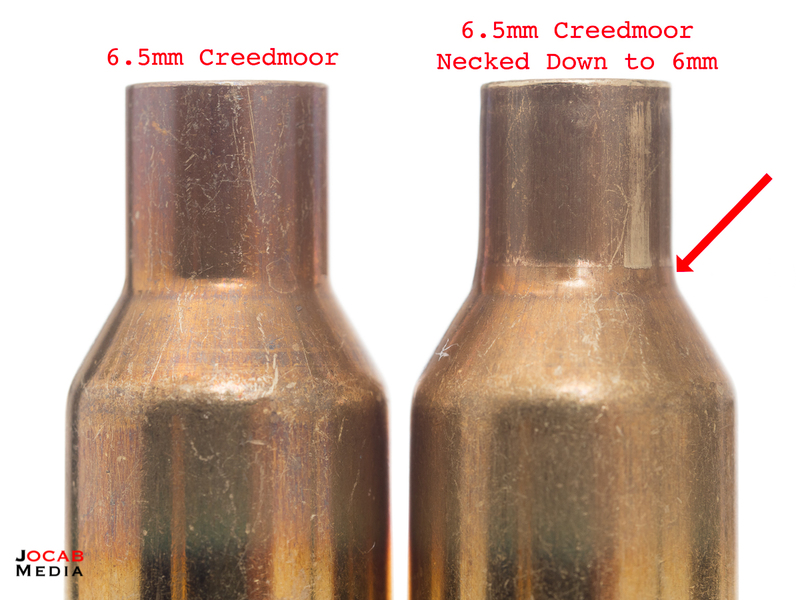 The individual 6mm Creedmoor PDF link may be broken after SAAMI publishes a new rifle cartridges document. Granted, the SAAMI document indicates the 6mm Creedmoor SAAMI acceptance was issued on 14 June 2017. 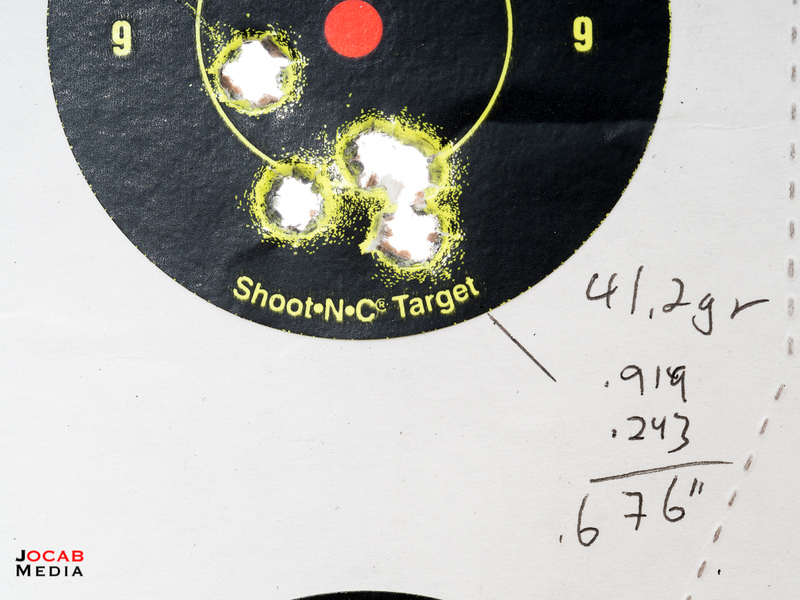 So for the 7+ years that 6mm Creedmoor existed as a wildcat chambering, it has gained quite a bit of popularity, but very little support from brass manufacturers. 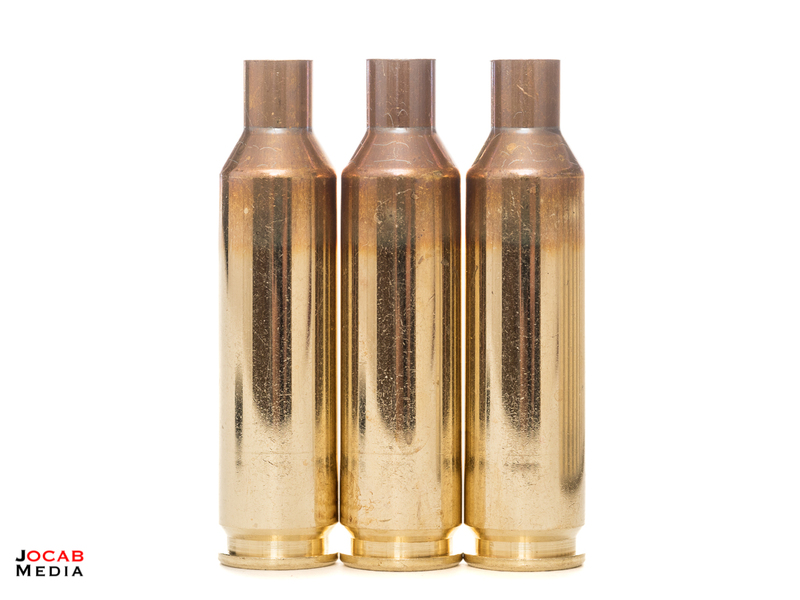 As with the 6.5mm Creedmoor, Hornady was the original native brass source for 6mm Creedmoor. But since Lapua began producing 6.5mm Creedmoor brass in early 2017, this made 6mm Creedmoor a viable option. Necking down 6.5mm to 6mm is not much of a jump down, and thus is a quite an easy process. 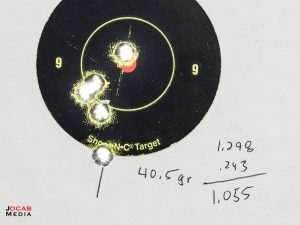 When I shot necked down Lapua 6.5mm Creedmoor brass, I had zero issues and was able to attain 1/2 MOA groups tested and confirmed at 100 and 200 yards. But while my results on paper were good, I did take a very casual approach to necking down 6.5mm to 6mm. I did not neck turn the brass post-conversion. I simply necked down and loaded as is. If you read up on necking down brass, supposedly, a donut can form in the neck due to brass build-up during the sizing down process. I did not notice this, but of course, I did not use a ball micrometer to check the necks after resizing. What does happen when you neck down is that you create a false shoulder right at the lowest portion of the neck and where the shoulder begins. This is due to a very small portion of unsized neck. Many will argue this is a good aspect of necking down because it will actually help accuracy on the first firing of the converted brass. While I was content on using Lapua 6.5mm Creedmoor brass to make 6mm Creedmoor brass, especially because of the small rifle primer pockets and the PPC-style flash hole diameters, I did have a desire for native 6mm Creedmoor brass. If anything, I wanted quality brass that was headstamped 6mm Creedmoor (minimize mix-ups of brass or ammo with actual 6.5mm Creedmoor cartridges) and to save time on the initial necking down and fire forming process. A lot of folks were jumping on the Alpha Munitions 6mm Creedmoor brass when that was released in the last several months. But I took a pass on trying it out because it was only available in large rifle primers. Note: Alpha Munitions did recently release small rifle primer 6mm Creedmoor brass, and I actually have an order on the way as I write this. 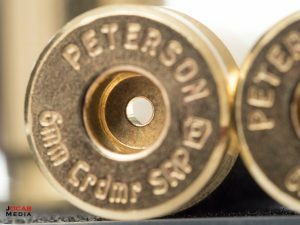 When I was at SHOT Show 2018, I went over to the Peterson Cartridge booth to get some information on the company because many people, including a few that I personally know, have given very position opinions of Peterson Cartridge brass in long range and extreme long range applications. That visit proved beneficial because I discovered they were in the process of producing and releasing 6mm Creedmoor brass in both small and large primer options, and the small rifle primer version would have a .060″ PPC-style flash hole diameter. 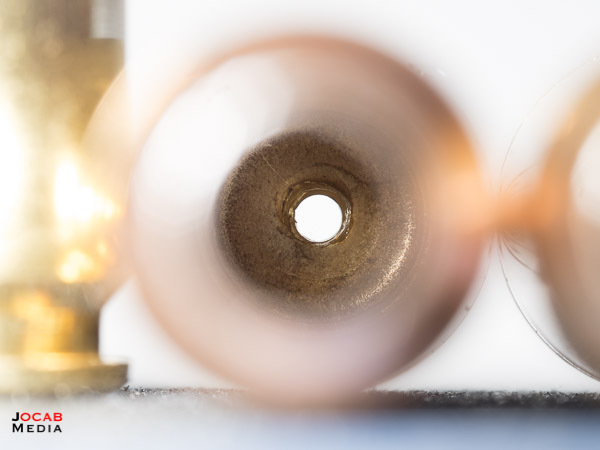 A lot of people complained about the 1.5mm (~0.59″) flash hole diameter of Lapua 6.5mm Creedmoor brass. Traditional flash hole diameters are .080″, so many were surprised when the decapping pins on their dies would not fit the hole. Granted, Redding dies should include the smaller diameter decapping pins. 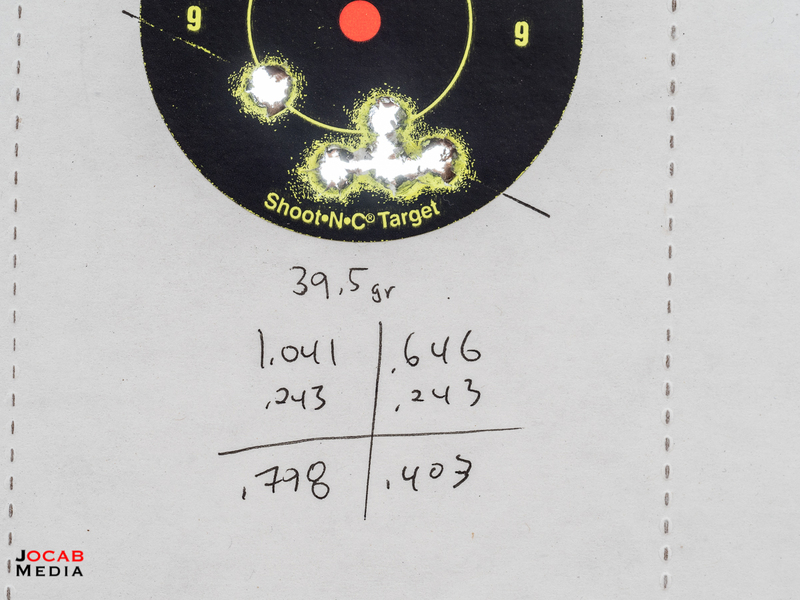 I am in the camp that believes the smaller flash hole is better for small rifle primer ignition consistency. I do not have hard data to back it up, so forgive my blind faith in this. After the 2018 SHOT Show, I ordered 200 pieces of the Peterson Cartridge 6mm Creedmoor small rifle primer brass as soon as they were available on the Peterson Cartridge website. Peterson Cartridge is based in Pittsburgh (Pennsylvania) and all manufacturing for Peterson Cartridge is in Pittsburgh. When you order Peterson Cartridge brass, it will arrive in 50-round plastic boxes with the Peterson Cartridge name. 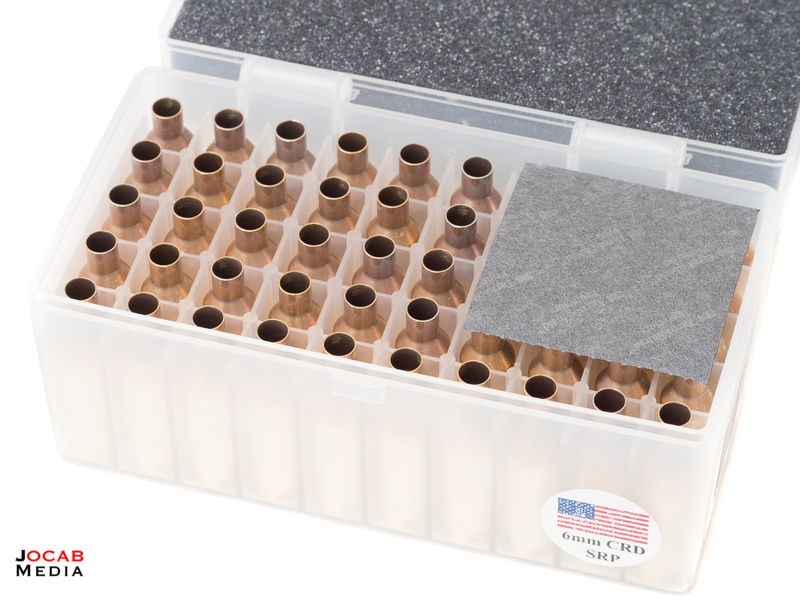 Peterson Cartridge gets an immediate check mark in the positive category for providing a reusable ammunition box. 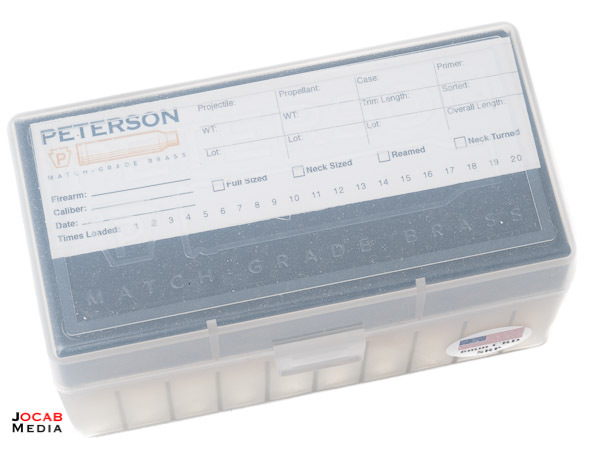 Peterson Cartridge does put lot numbers on the side of the box, so depending on how often you purchase brass, and your reloading habits, it might be a good idea to keep track of the brass and which box you reuse. Upon visual inspection, the quality control of the brass looks solid. The necks appear to be concentric without dents, burrs, or other damage. 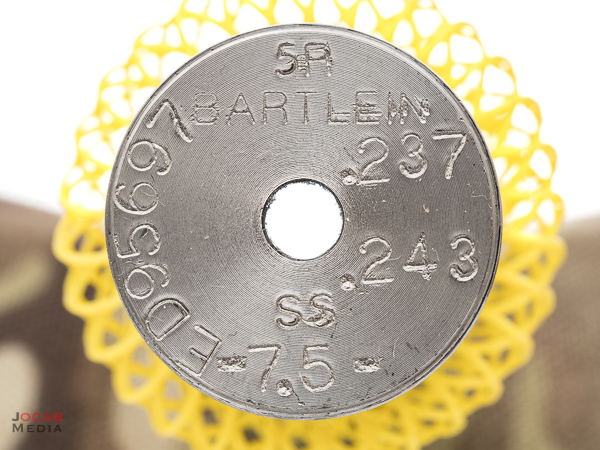 Checking the flash holes, I did not see the tags or burrs like I observed in the 6.5mm Creedmoor Starline Brass that I reviewed. In talking with Peterson Cartridge at the 2018 SHOT Show, I was told that they did punch the flash holes (as opposed to drilling like Lapua does), but that the flash holes are processed for burrs as part of the production process. Addendum: Someone pointed me to a thread on the Accurate Shooter forums regarding the misnomer that Lapua drills flash holes. I stand corrected. It is interesting that Lapua does a better job cleaning the flash hole edges, or has a better method for punching the holes. The flash holes from the primer pocket side appear clean and the walls of the flash hole look solid. The interior side of the flash hole do not look nearly as pleasing as Lapua brass (which is drilled), but again, I did not see any tags or burrs that would require cleanup with a flash hole deburring tool. 1.9147″ or 1.915″ is about the mid-point of the specification for brass length in 6mm Creedmoor. Depending on what reference you go off of, trim to length is either 1.910″ or 1.915″, and the maximum length is usually 1.920″. The out of the box headspace is actually very consistent and the ~1.532″ (average rounded to the thousandths) varies by less than +/- .001″. DISCLAIMER: This is a side-by-side of 6mm Creedmoor brass and 6.5mm Creedmoor brass. This is an odd comparison, but since I am using Lapua 6.5mm Creedmoor necked down with no trimming on the first firing, it does give an idea of how Peterson Cartridge compares to another case manufacturer. Of course, a better comparison would be Peterson Cartridge 6.5mm Creedmoor and Lapua 6.5mm Creedmoor. Surprisingly enough, Peterson brass weighs more than Lapua. Lapua is more consistent than Peterson as evident in the standard deviation and extreme spread for the measurements taken. Based on the appearance of the brass and the measurements, I went ahead and loaded the brass straight up without any processing. Some will argue that at the very least you should neck size brand new brass, but I was being lazy. I will note that the primer pockets are not as tight as Lapua. Lapua primer pockets are very snug and are just on the cusp of being too tight. 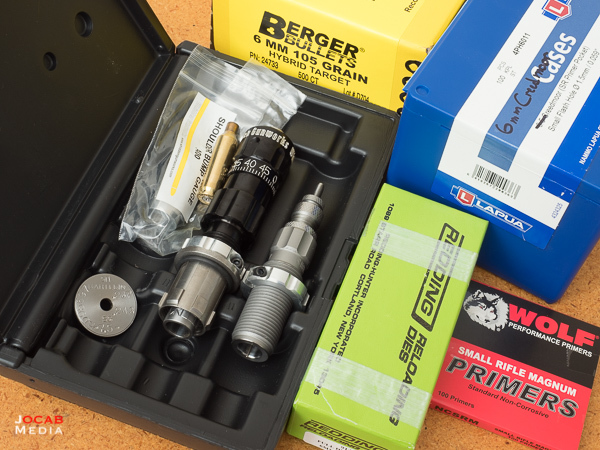 I have no means to accurately measure primer pocket diameter, but based on a Lee hand priming tool, the feel of the primer as it is seated in the Peterson Cartridge brass is noticeably easier than with Lapua, and is comparable to the feel of primer seating with Starline Brass (6.5mm Creedmoor SRP). CCI BR4. B = Benchrest. 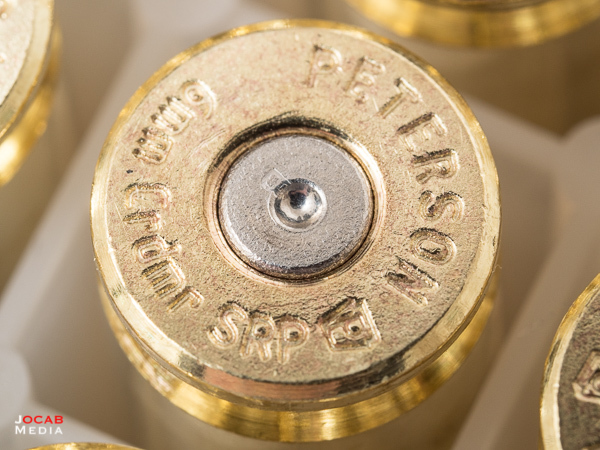 Note: Peterson Cartridge indicate they have provided contract brass to some ammunition manufacturers in the past with custom headstamps. But Peterson Cartridge sourced brass will always have the ‘P’ keystone logo somewhere on the case head. When I was at the Peterson Cartridge booth during SHOT Show 2018, I did ask them about how their brass compares to other manufacturers in terms of powder charge variance, and was told that people generally run a lower charge weight versus other brass. The fact that Peterson Cartridge brass weighs more than necked down Lapua 6.5mm Creedmoor brass lends support to Peterson’s information regarding lowering the powder charge of an existing recipe. I did measure the necks of the Peterson Cartridge brass with seated Berger 6mm 105gr Hybrids and it came out to 0.2725″ to 0.273″. This is exactly the same measurement as with necked down Lapua brass. 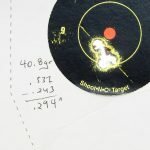 A .270″ or .271″ bushing would be appropriate for 6mm Creedmoor Peterson Cartridge or necked down 6.5mm Creedmoor Lapua brass with the Berger Bullets 6mm 105gr Hybrid Target. 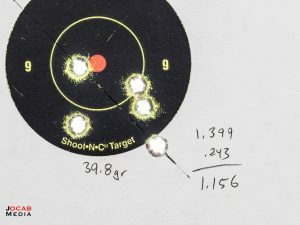 The groups below were all shot at 100 yards during the chronograph testing. 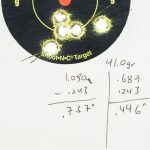 They are not completely tight and I threw a round in a couple of the groups, but you can get an idea on how the load was performing. 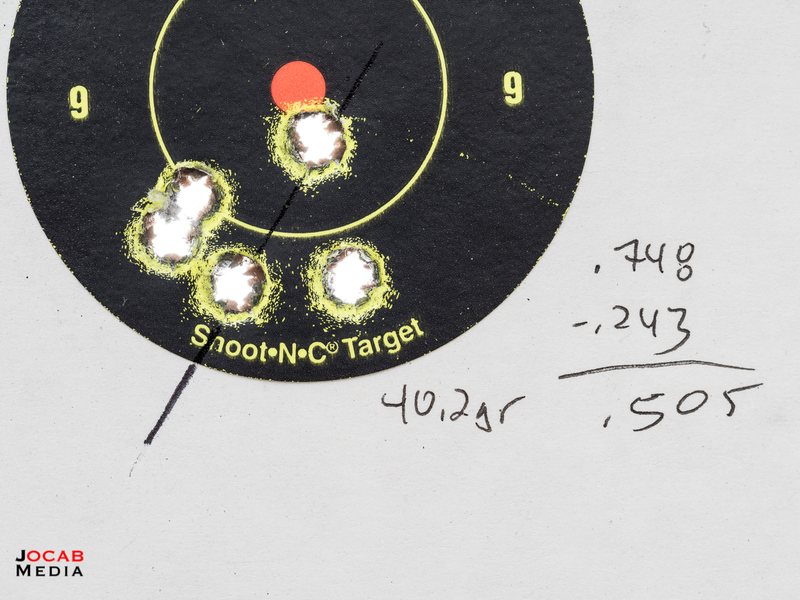 The groups for 40.8gr, 41.0gr, and 41.2gr of H4350 all looked pretty decent. 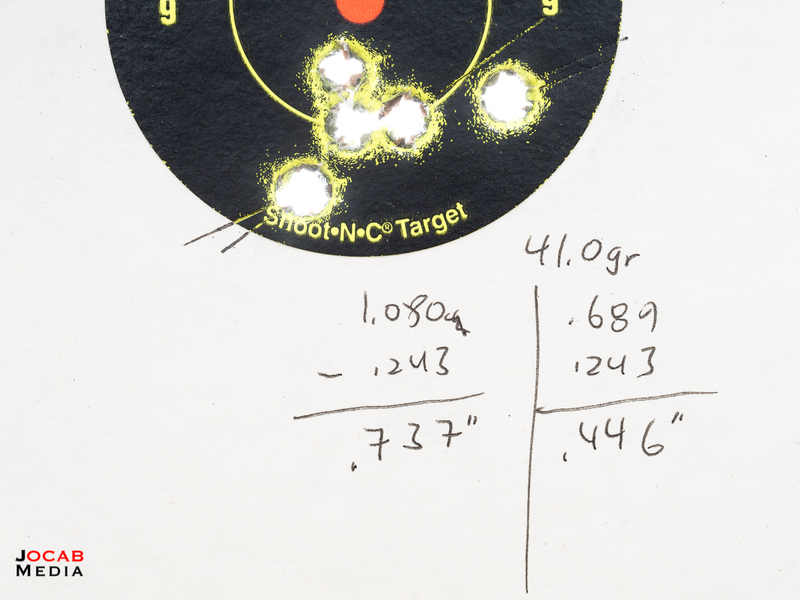 I did shoot a larger group with 41.0gr, but I definitely threw the far right round. Given the shooter, the load should be at least 1/2 MOA. I know people are getting extreme spread values closer to 10 fps and even under, but my reloading process is not as fine tuned as others. I still use a Pact Digital Precision Pro scale which is only good to the nearest tenth of a grain, and the load sensor probably is not ideal. I hope to get an A&D FX120i, Auto-Trickler, and Auto-Thrower setup later this year, which should improve my power charge weight consistency. 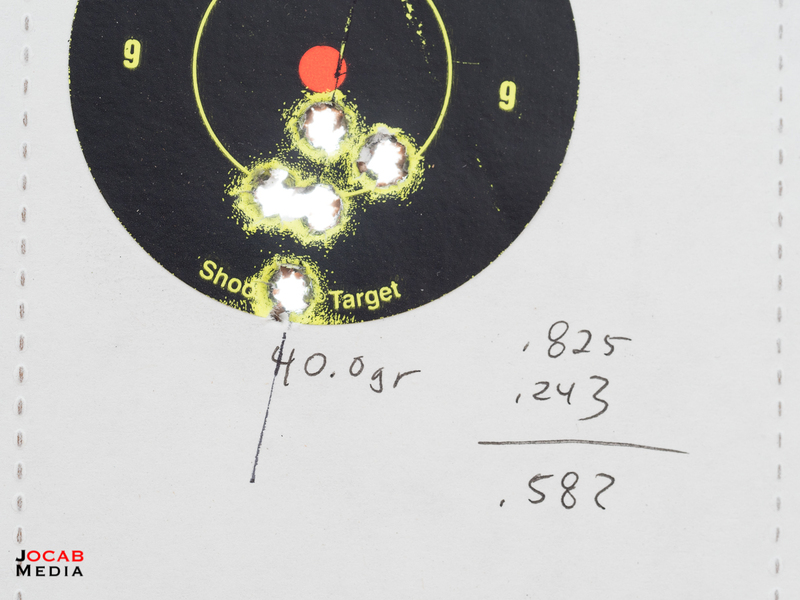 That said, my results with Peterson Cartridge 6mm Creedmoor SRP rifle brass is on par with Lapua 6.5mm Creedmoor SRP necked down in my Mausingfield build. I have no issues with high pressure signs to the 41.3gr H4350 I tested to. The primers are not flattened and there is no cratering. There is still rounded edges of the primer and a distinct gap between the edge of primer and the case head. So what is the initial verdict of Peterson Cartridge brass? 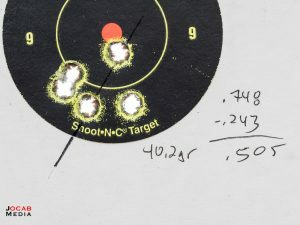 Based on what I have shot so far and how it appears comparable to Lapua in terms of the ballistics and on paper performance, I have to say that Peterson Cartridge 6mm Creedmoor SRP is a solid option for any 6mm Creedmoor shooters. 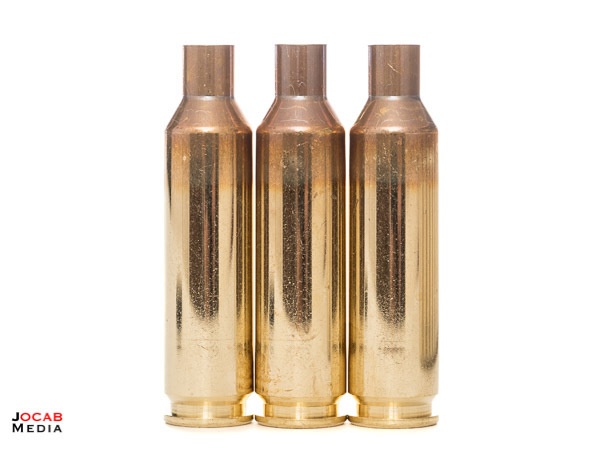 It is a great alternative to Lapua brass because it not only has a small rifle primer pocket, but it also has the smaller diameter PPC-style flash hole, just like Lapua 6.5mm Creedmoor brass. If you are the type of person that needs a traditional 0.080″ flash hole, then you can go with the 6mm Creedmoor LRP Peterson Cartridge option. 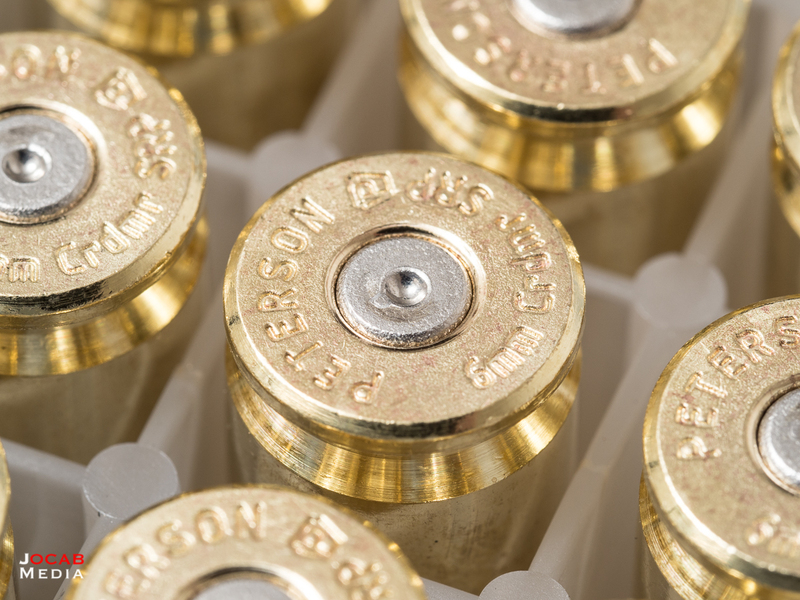 Aside from quality of the brass and the accuracy of the ammunition that can be obtained in using this brass, the other important factor in recognizing Peterson Cartridge brass as being good is durability and longevity. It does appear to have good mass to the case when compared to Lapua, but Lapua primer pockets are noticeably more snug, as mentioned earlier. 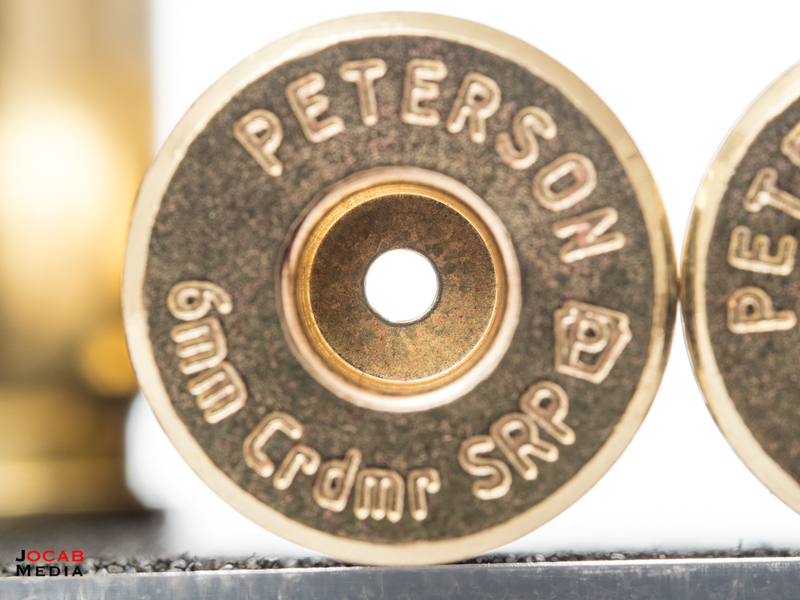 Seating primers in once fired Peterson Cartridge 6mm Creedmoor brass did not reveal any noticeable difference in the primer pocket tightness. But time will tell on Peterson Cartridge primer pocket durability when I reload a case more than five times. 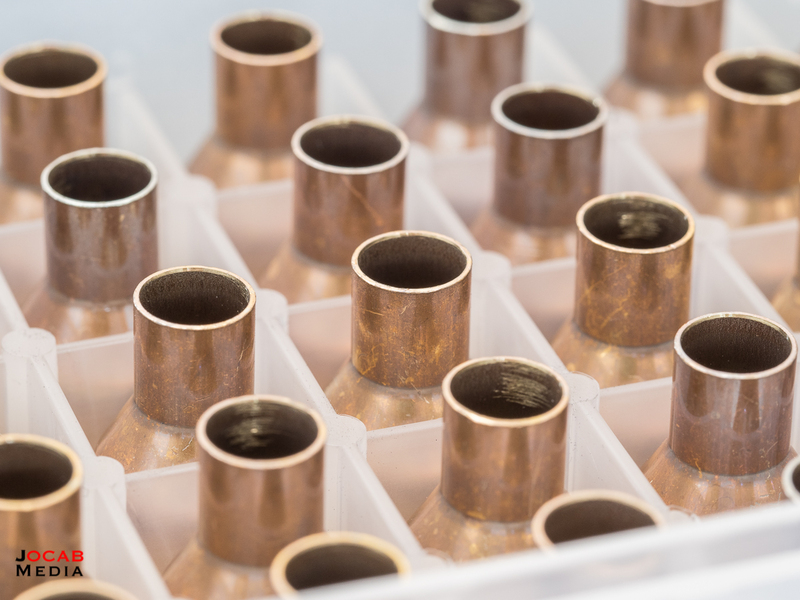 The price is currently at 78 cents per piece of brass (give or take depending on shipping), so this is a cheaper option than Lapua, which is about $1 per piece. I purchased the Peterson Cartridge brass directly from Peterson, and their online store is still accessible if you have the storefront URL saved. 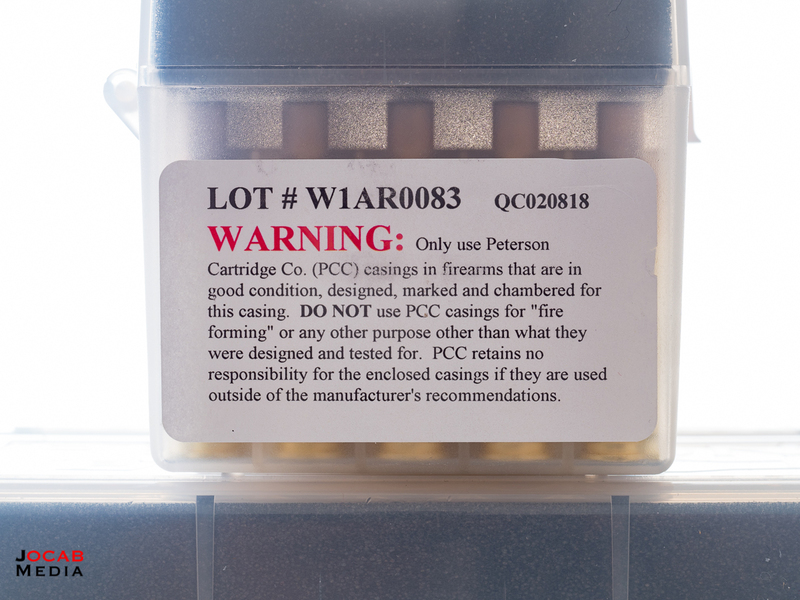 But Peterson Cartridge is now redirecting sales to Graf and Sons, who is now the primary distributor for Peterson Cartridge. Do I recommend Peterson Cartridge 6mm Creedmoor brass? Yes. 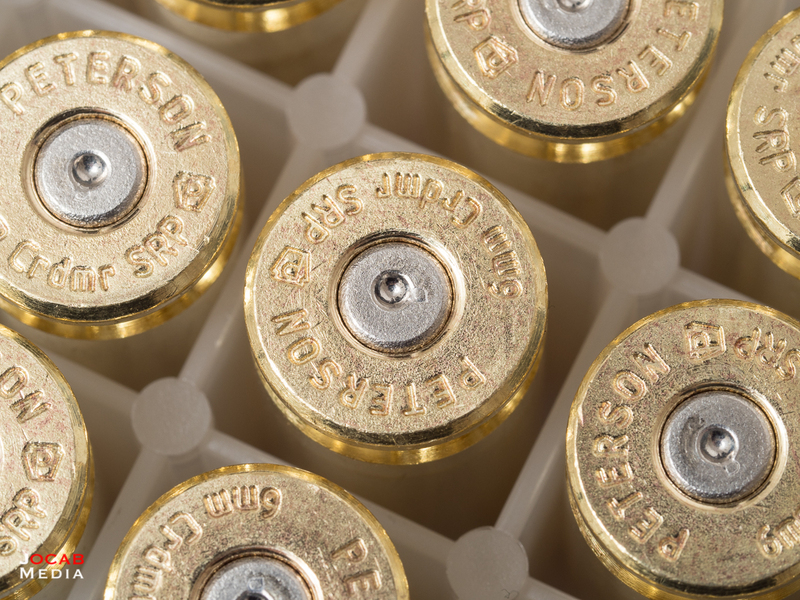 The quality is higher than Hornady and Starline, and Peterson Cartridge brass is going to result in accuracy and relatively consistent loads on par with Lapua, all at a price point lower than the gold standard that is Lapua brass. 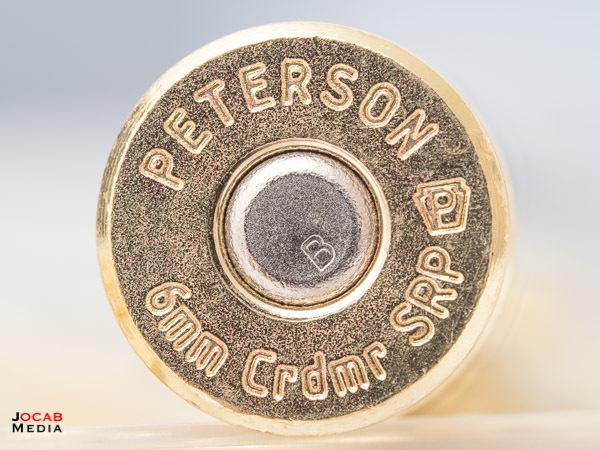 If you are a 6mm Creedmoor shooter, check out Peterson Cartridge 6mm Creedmoor brass, available in both a small rifle primer (0.060″ flash hole) and large rifle primer (0.080″ flash hole). Great writeup like always. Interested to see how it compares to Alpha munitions 6 creedmoor Brads. I got the Alpha brass today. I actually got it two days ago, but they sent me the wrong brass: LRP instead of SRP. Going to do the initial measurements and loading this weekend. May or may not be able to hit the range on the weekend.